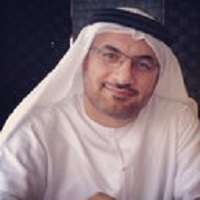 Abdullah Shehab is Associate Professor of Medicine at the United Arab Emirates (UAE) University, Al Ain, UAE, and a Consultant Interventional Cardiologist at the Al Ain and Al Noor Hospitals. Professor Shehab’s current research interests include studying the epidemiology of coronary artery disease in the Gulf countries, heart failure, dyslipidemia, atrial fibrillation, hypertension, medical education and cardiac imaging. Professor Shehab is chairman of the Arab board cardiology fellowship training and examination committee in Arab countries 2010-till present and Vice President of the Emirates Society of Cardiology from 2010–2012. He is a fellow of the American College of Cardiology, the European Society of Cardiology, Royal College of Physicians London, Society of Cardiac of Angiography and Intervention and a member of the Society of Cardiac CT. He is also currently a member of the Gulf Heart Association and a board member of both the UAE Cardiac Intervention Committee and the European Gulf PCR Committee. Professor Shehab has published numerous articles within the area of acute coronary syndrome, type 2 diabetes, dyslipidemia, heart failure and atrial fibrillation.